We are opening Sunday night, September 20th for another great show! Doors will open at 7:00 and the show will start at 8:00. There will be a $7 cover charge. The show will be great, with all new songs featuring the signature sound of Island Rock, all in a up close, intimate setting. Come early for good seats! Thanks for supporting the live music at The Ottoman Lounge. As a double platinum artist and 3-time Juno nominee, Mobadass’ Earl Pereira has established himself as arguably the most entertaining bass player in the country. Being the bassist and co-founder of one of Canada’s best live bands Wide Mouth Mason, Pereira has already had a successful career highlighted by numerous top 20 radio and video hits. By 2004, Pereira felt it was time to put his energy and experience into a new passion. 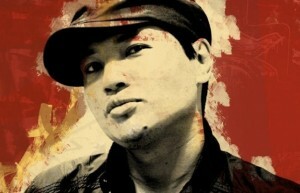 He founded Mobadass as a creative outlet for his distinct style of “island rock” music. This is a sound created by combining music of his two cultures, the Philippines and Canada with soulful reggae-rock and funky pop.